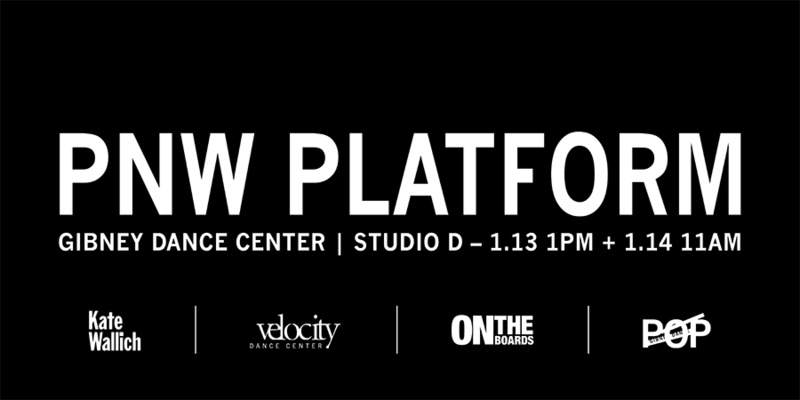 Velocity initiated the Pacific Northwest Platform in 2016, joining forces with On the Boards + SQUID MGMT to bring a united voice of Seattle/Portland dance to NYC during APAP | NYC, the annual conference of the Association of Performing Arts Presenters. The artistic directors of Velocity and On the Boards curate the Platform to reflect their shared investment in the creative process of PNW dance makers. PNW Platform 2018, curated by Tonya Lockyer and Betsey Brock, is a showcase of some of the best the Pacific Northwest has to offer. READ Conversation: Tonya Lockyer + Lane Czaplinski dig deep into regional hierarchies, audiences, artist guidance, and curation, as well as how their organizations work together to foster artists in this region.